Welcome to the website of Nubian Knowledge, Ltd., a Black Owned and Operated Business. Nubian Knowledge, Ltd. has adopted a mission to educate, inform, train, clothe, and sell products that will bridge the gap of knowledge, lost and stolen throughout the African Diaspora. Our booklist grows daily, due to our constant search for new and experienced authors. We provide a catalyst for information from local and regional organizations that want to announce their scheduled events, or where to just sit down to enjoy a well cooked African meal. The American Black Film Festival (ABFF) is a four-day retreat and international film market. Founded in 1997, the festival's mission is to strengthen the Black filmmaking community through resource sharing, education, artistic collaboration and career development. 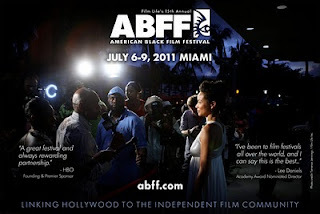 The ABFF was born out of the need to spearhead distribution opportunities for independent Black films and promote cultural diversity within the motion picture industry. FREE! ...for Black History Month Only! Published by Uplift, a 501c3 nonprofit organization, the Myles & Ayesha Black Inventors Match Game is the first app in the Apple Store that specifically targets kids (of all ages) in teaching a portion of Black History. It celebrates Black inventors and problem-solvers and is the first app in the Myles & Ayesha game-based and learning series. The Myles & Ayesha Black Inventors Match Game challenges your MEMORY skills as you play the match game component. Game pieces are beautifully illustrated images of each invention featured in the game. The launch version starts with thirteen (13) inventions and more will be added regularly. There are 3 levels of match-game play: easy, medium, and hard, and the names of the top 3 scorers are recorded. e of patent) with an option to read more to aid in learning more about each invention. ***Based on user feedback since our initial launch, we will add other game modes in the coming future. Myles & Ayesha and all logos are trademarks of Uplift, Inc.